Vol. 114: The PRINT ONLY subscription year for Volume 114 is from July 1, 2018 to June 30, 2019. Volume 114 consists of four issues: 114.1 (October/November) should arrive in December, 2018, 114.2 (December/January) in February, 2019, 114.3 (February/March) in April, 2019, and 114.4 (April/May) in June, 2019. The price for a PRINT ONLY library subscription to Volume 114 is either $123 (U.S. and Canadian libraries) or $143 (rest-of-world libraries). The discount for agencies is 10%. Payment by credit card is possible if subscriptions are requested via the CAMWS website. A $3 processing fee will be added to each transaction. All questions concerning PRINT ONLY subscriptions should be directed to Jevanie Gillen (telephone: 309-457-2284; fax: 815-346-2565). 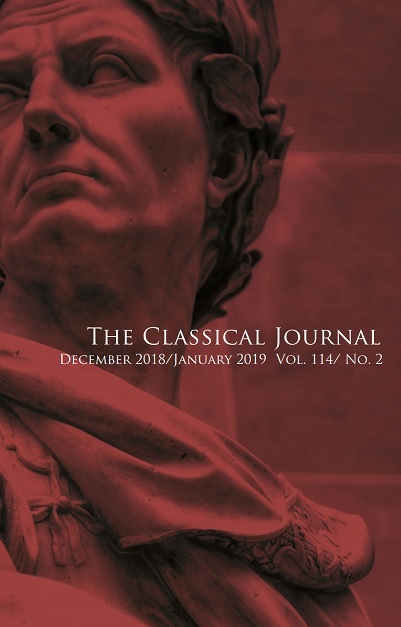 The price for an individual PRINT ONLY subscription to a volume of The Classical Journal varies according to status. The regular subsription rate is $65. Lower rates are available for students, retirees, and contingent faculty. 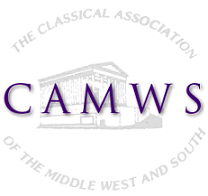 Individual subscriptions automatically include membership in CAMWS.